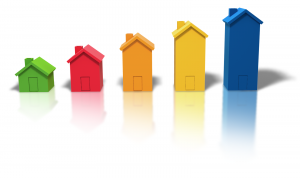 What are the tangible property regulations? These regulations were issued by the Internal Revenue Service (IRS) to provide guidance for the acquisition, production or improvement of tangible property—buildings, furniture, fixtures and equipment assets, typically—which must be capitalized and depreciated, deducted in the future or deducted immediately. On a more granular level, these rules dictate how to establish a basic capitalization policy (“de minimis expenses”), identify repair and maintenance costs, account for materials and supplies, determine which costs must be capitalized for the improvement or acquisition of buildings and equipment, and when disposed property may be written off. These regulations apply equally to all businesses subject to U.S. tax law, regardless of for-profit or exempt status, organization size, legal entity, or industry. They apply to taxable years beginning on or after January 1, 2014. However, in certain situations, the regulations could affect capitalization of costs incurred in years prior to 2014, regardless of a tax return’s normal statute period. Prior to this new guidance, the previous regulations governing tangible property were a subject of constant disagreement between taxpayers and the IRS, which led to a patchwork of court cases, rulings and other guidance that was not always consistent, nor easily applicable across industries. The IRS, with much feedback and input from taxpayers, rewrote these regulations, which included proposed and temporary regulations, before finalizing the regulations. The prior guidance applied to nonprofits just as the new regulations do. Many for-profit and nonprofit organizations are addressing these regulations now because of the broad application and complexity over the old guidance. But My Organization is Tax-Exempt! The primary impact of the tangible property regulations is the capitalization of tangible property on the statement of financial position (balance sheet) and the computation of taxable income. Expenditures could be capitalized as improvements to existing buildings, leasehold improvements or equipment assets and deducted over time through depreciation, or conversely, deducted as a repair and maintenance expense, de minimis property, or as materials and supplies. Nonprofits that pay unrelated business income tax, have taxable subsidiaries, or lose their tax exempt status will need to consider the impact of these regulations and determine if there is a change to current methods of calculating taxable income. Amounts may be re-characterized as capital improvements that were historically deducted, or vice versa. For example, consider a nonprofit university that operates a convention center and hotel, resulting in unrelated business income tax for the nonprofit university. In 2012, the hotel underwent a renovation to repaint guest rooms, replace broken lighting and plumbing fixtures, and replace the roof, among other miscellaneous expenditures. The university in this example must compare the facts and circumstances of the expenditures to the regulations to determine if the expenditures were improvements that must be capitalized and depreciated, or repair costs that were deductible when incurred. Depending on the scope of the work performed, these amounts could have been capital improvements or deductible repairs. The regulations introduce the concept of “Unit(s) of Property”, which is how the regulations identify the asset that is being repaired or improved. Historically, an entire building was the unit of property. However, now the regulations subdivide building property into nine different “building systems”. When evaluating an expenditure to determine if it is a repair or an improvement, the expenditure must be compared to the relevant “building system” as opposed to the entire building. This change in how we define the asset that is being repaired or improved can result in characterization of expenditures as capital or deductible that is different from the historical characterization. Elections are a formalized manner of adopting tax return positions provided by the Internal Revenue Code and regulations. There are three new elections in the regulations that each nonprofit should consider making. All of the elections described below require a statement to be attached to the organization’s timely filed federal income tax return, including extensions. Further, these are annual elections that will need to be considered for 2014 and every subsequent tax year. 3. The policy must be in writing if the organization has an audited financial statement. If an organization follows the above practices—and most importantly follows the practice equally for financial accounting and tax purposes—then the IRS will not question the expensing of amounts beneath the threshold. The capitalization threshold may change (but not exceed the safe harbor limits above) as necessary to meet the changing business practices and needs of the organization. The regulations provide an election for a simplified repair versus improvement analysis for small taxpayers. A small taxpayer, for purposes of this safe harbor, is an organization with average annual revenue for the prior three years of not more than $10 million. Small taxpayers meeting the revenue threshold may expense costs to repair, improve or maintain building property(s) if those expenditures in aggregate, per building, do not exceed the lesser of $10,000 or two-percent of the original building cost. This simplified analysis may be applied to each building a small taxpayer owns that has an original cost (or total amount of rent payments expected to be paid by the lessee under the term of the lease, including renewal periods) of not more than $1 million. It is a common occurrence that an amount may be capitalized for financial accounting purposes but deductible under the regulations for taxable income purposes, or vice versa. Another means of simplifying the adoption of the regulations is an election that allows a taxpayer to capitalize amounts that are deductible for taxable income purposes, if those amounts are capitalized for financial accounting purposes. This election allows a taxpayer to capitalize for taxable income purposes amounts already capitalized for financial accounting purposes. In addition to the formal elections discussed above, the regulations contain numerous other elections, not discussed herein, that are made simply by taking a position on the organization’s tax return. The regulations, as stated above, are adopted through elections where indicated and by filing Form(s) 3115, Application for Change in Accounting Method, as indicated by the IRS in separate guidance. Consideration should be given to the taxable situation and nature of each nonprofit’s activities to determine whether filing of Form 3115 is necessary. A Form 3115 is generally, but not always, filed with a retroactive catch up adjustment that is the difference between the deductions claimed to date under the old method and the deductions that should have been claimed to date under the new method. This adjustment will factor in all amounts from prior years unless otherwise specified by IRS guidance. However, adjustments for certain accounting method changes are required to be calculated on a prospective basis. Filing a Form 3115 provides protection against IRS audit penalties where the old method of accounting could have resulted in unfavorable IRS audit adjustments. The IRS recently provided relief to simplify the procedures for small businesses making accounting method changes. A small business, for this purpose, is defined as a trade or business with average total revenues for the prior three years of not more than $10 million or total assets not more than $10 million. If either test is met, then a nonprofit may adopt the regulations through these simplified procedures. The new procedures allow small businesses to change a method of accounting on a prospective basis without filing Form 3115 or calculating retroactive adjustments. No formal election or statement is required to be filed to request a change in accounting method under these simplified procedures. Eligible small businesses following the simplified adoption procedures will compute taxable income starting with the 2014 tax returns according to the regulations without having to file a Form 3115. However, taxpayers will still be subject to additional taxes, penalties and interest if, upon IRS exam, amounts were deducted in pre-2014 years that should have been capitalized and deducted in a later year or depreciated over time. Organizations should consider how they are affected by these regulations currently, as well as potential future implications. An organization that currently does not have unrelated business taxable income may feel little impact from the regulations from an income tax perspective. There will be little incentive for the IRS to enforce the regulations for many nonprofits where income tax is not paid. However, where a nonprofit pays unrelated business income tax, has taxable subsidiaries, or loses its tax exempt status, it should absolutely address these regulations currently. A nonprofit should anticipate filing Form 3115 in future years subject to unrelated business income tax, even if not currently subject to income tax. It is generally recommended that an organization make the de minimis safe harbor election regardless of whether it currently pays unrelated business income tax. Consideration should also be given to determine whether these regulations could change the way overhead percentages are calculated for benchmarking purposes, statement of financial position (balance sheet) implications to assets or activities potentially eligible for a future sale, spin-off or other separation resulting in tax concerns upon separation, or taxable income implications for activities that cycle in and out of taxable activities. The tangible property regulations may also result in changes to the capitalization practices for financial accounting purposes. The regulations provide broad ranging guidance on what must be capitalized as tangible property. However, they do not change any depreciation rules. For amounts required to be capitalized under these regulations, nonprofits will need to continue to apply the appropriate tax depreciation rules to elect appropriate tax depreciation methods. Although these regulations affect many issues related to tangible property, they offer flexibility and options for determining the best course of action. Nonprofits, although not affected in the same manner as for-profit entities, are nevertheless subject to these regulations, and should discuss with their tax adviser the potential implications in order to plan for and mitigate unexpected and potentially adverse consequences.